We provide UN Plastic Drums and Boxes to our customers. 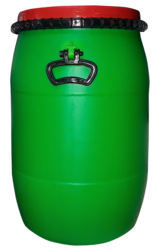 Understanding the ever-changing demands and needs of our customers, we are indulged in offering an extensive range of UN Approved 30 LTR HDPE Drum. Fabricated at vendors’ end by using quality tested materials, the offered drums are available in diverse sizes and specifications. 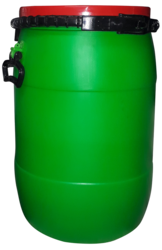 Assisted by a squad of experienced professionals, we have been able to provide an unmatched quality array of UN Approved 60 LTR MS Drum. The offered drums are fabricated by using quality assured raw materials and ultra-modular techniques at our vendors’ end. 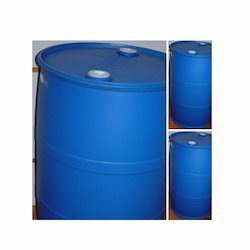 Un Approved 60 Ltr Open Top Drum - Use For Export Material, Solid - Packing Group - I, Ii, Iii. Dimension of Drum – 40 x 40 x 64 CM. 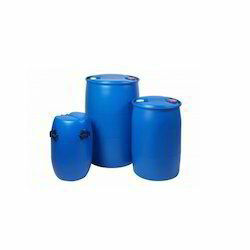 Being amongst the well-established organizations, we are occupied in providing an extensive range of UN Approved 35 LTR MS Drum. Our vendors’ assiduous professionals utilize unmatched quality raw materials and contemporary techniques to manufacture the offered drums. NIDHI DG PACKAGING offers an extensive range of 1H1, 1H2 and 3H1 plastic / HDPE single packaging, off the shelf ready for immediate despatch. recondition by our dependable vendors using premium grade mild steel. Offered drum is highly recognized in the market for its outstanding features. 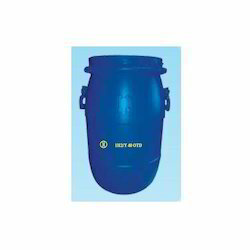 Apart from this, this high quality drum is available in numerous sizes to cater to several industries. We offer our clients precisely designed UN Mark Fiberboard Boxes, which are manufactured using superior quality craft paper procured from certified paper mills. Entire process of production, from procurement to delivery is carried under the supervision of our expert professionals. These boxes are widely used in various industries for storing and transportation of delicate as well as heavy items. 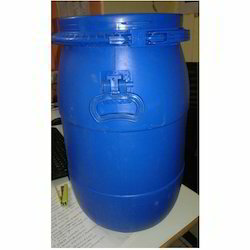 We have supplied UN approved HDPE drums tested as per IATA,IMDG Regulations, Nominal capacity of drum 40 ltr. 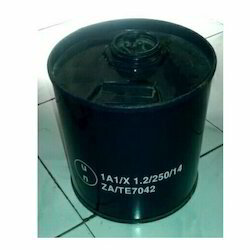 Above drum us for hazardous solid type material. Tested for Packing Group I & II.